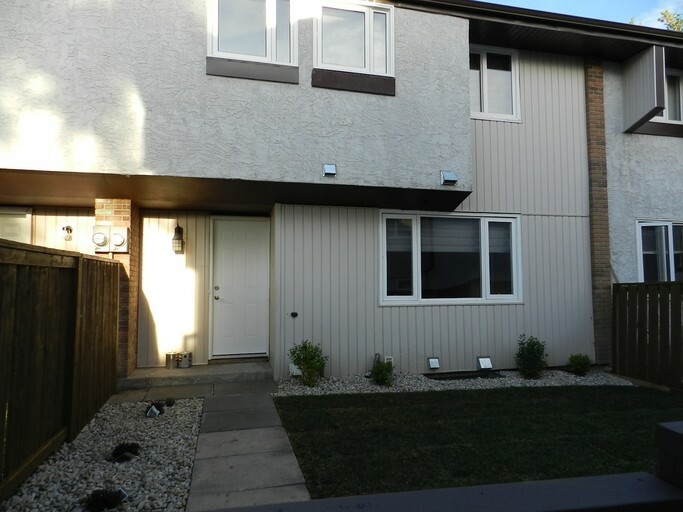 ABSOLUTELY STUNNING 3BD/1.5 bath townhouse with EXCELLENT layout to optimize your living delight.Once you see this FULLY RENOVATED, BRIGHT and SPACIOUS townhouse, you'll want to MAKE it your HOME now! FULLY RENOVATED and EVERYTHING IS ABSOLUTELY BRAND NEW:-	6 Brand New Appliances-	Modern Light Fixtures-	Kitchen cabinets and counter-tops-	Kitchen and Bathroom sinks, faucets, shower trim and vanity-	High efficiency comfort height elongated seat toilets -	Quality Laminate flooring throughout-	Fully finished Basement-	Newly painted throughout in contemporary classic grey-	Fenced yard-	Close to transportation and amenities-	CALL us today @ 780-701-7400 ~~~ Once you see this warm and cozy home, you'll want to LIVE in it now! -	It has a well designed, bright and spacious dining room area and kitchen, just perfect for the chef of the house.-	The warm and cozy living room with a large window to allow bright sunshine and natural light, welcomes you to have a well deserved rest after a busy day.Located in a well-established, quiet and mature neighborhood, conveniently close to amenities, schools, transportation and shopping.Call 780-701-7400 to arrange for a viewing today for property at #11 14320 80 St Ready TO GO! All that is missing is U! Call now our office at 780-701-7400 to view TODAY! !